Have you ever walked into a retail store such as a clothing department store and you feel as though you are not welcomed? 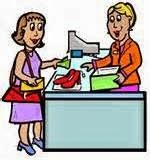 The sales clerk does not acknowledge your presence, and if they do, they are not very friendly when they ask if you are in need of assistance. Personally I would rather spend extra money for good service than to shop at a bargain store where I do not feel welcomed. Recently I had to drop someone off to St. Francis Xavier Cathedral for the 9am service. I decided to walk the individual to the door, as I was dressed for Church as well, but I would be spending my time at another Parish. As we approached the door a very friendly man held out his hand and greeted us with a very warm welcome. He probably does that to those he believe to be visitors (as we both were), but I am sure he gives a similar greeting to the regular members as well. Here is what he said to us: "Good morning, it's a pleasure having you with us this morning." What a pleasant greeting! If I were a tourist and received that greeting I would indeed leave the island feeling special. As a Parish that caters to many tourists I am sure that the members of the Cathedral do whatever they can to make our tourists as well as the local residents feel welcomed. I probably looked liked a tourist to the usher at the door, with the only difference being that I was not wearing sandals, shorts or comfortable casual clothing. I left there feeling very happy and wished that there was some way that they can bottle that joy at the door and share it with other Parishes. 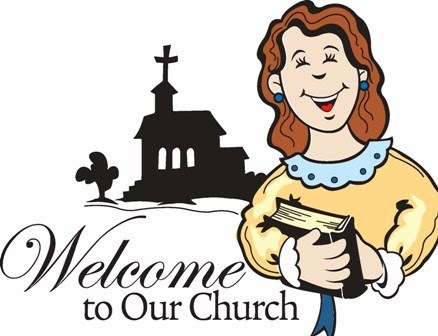 Many people wander from Church to Church seeking that place they can call home, looking for that first impression of feeling welcomed and special. If I were not a member of another Parish I would indeed look for somewhere that gave me that greeting. The usher plays a major role in getting more people into the pews, we can not underestimate them.